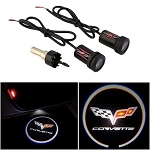 Corvette Side-view Mirrors with Automatic Heaters and LED Turn Signals use high-intensity LED lamps to turn ordinary exterior side-view mirrors into safety features that command attention. 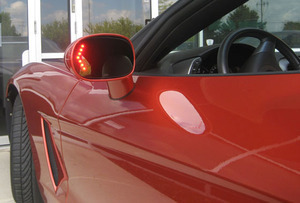 When a turn signal is activated, a flashing chevron appears in the corresponding side mirror to alert drivers in the "blind spot" of your intentions. When emergency hazard flashers are used, both mirrors flash warning signals. 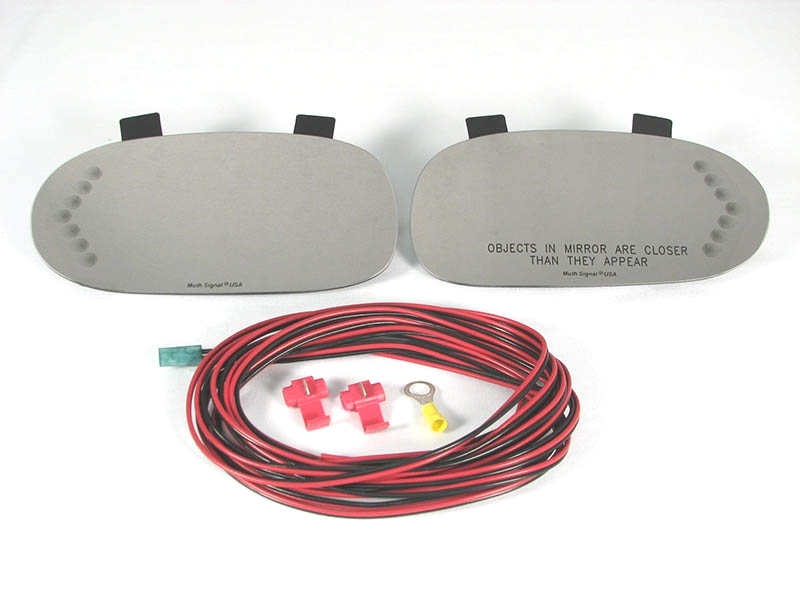 The mirrors function as conventional side-view mirrors whether the signals and hazards are activated or not. While surrounding drivers see a bright, attention-getting display, the driver of the vehicle equipped with these mirrors sees only a subtle tell-tale display - a reminder the mirror is activated. Each Signal Mirror is backed by a one-year limited warranty, and is fully tested before being shipped. Q: Are these mirrors color coded to specific vehicle colors?